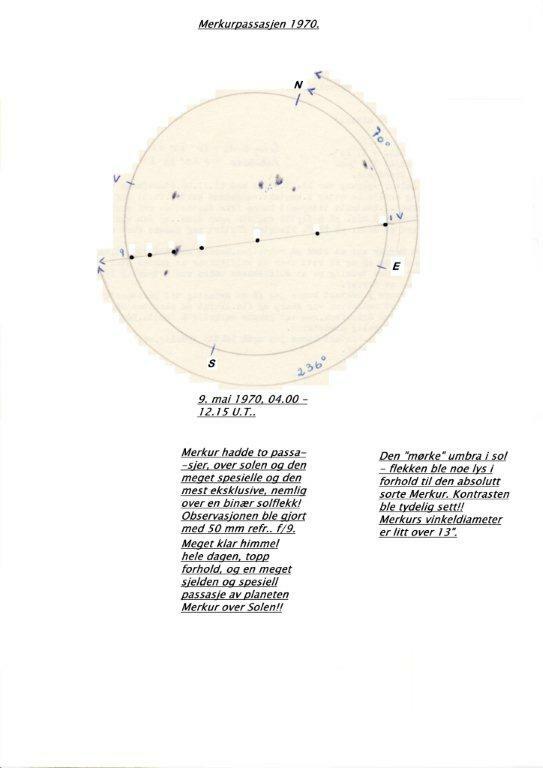 but spectacular observation of a transit of Mercury I made in 1970. It was interesting to observ the absolute black Mercury with the umbra in the spots. The umbra was easy seen brighter. My info on sketch is in norwegian! This was a lucky observation, indeed!! I used pen and pencil on this original sketch. Thanks for nice comments on my sketches!! Have a clear sky and nice time to all!